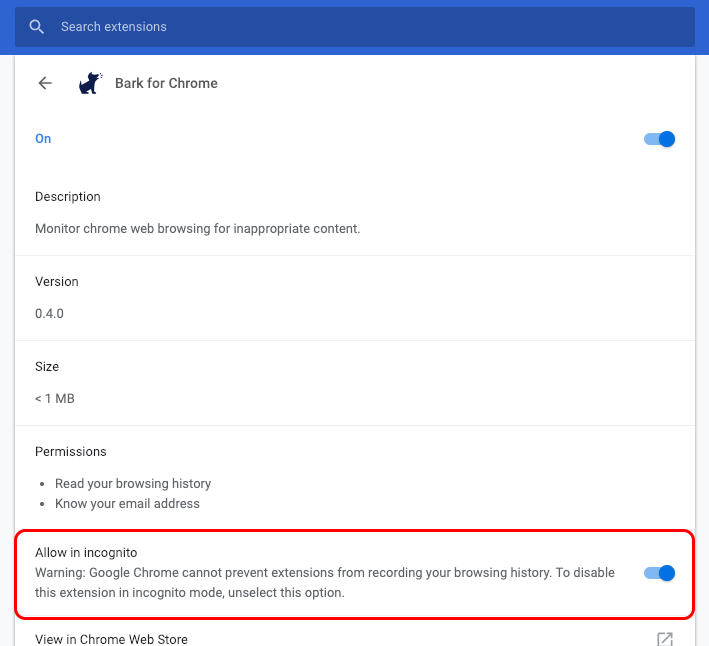 There are two parts to monitoring Google Chromebooks, listed below as Part A and Part B. We have instructions and a walk-through video for both! While we encourage parents and kids to have discussions about Bark, we understand the need to keep the Bark extension somewhat hidden. 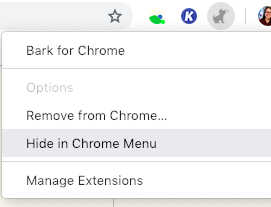 To do so, click on the Bark extension, and click "Hide in Chrome menu"
The Bark for Chrome extension is now installed and actively monitoring regular browsing/searches as well as incognito browsing/searches on Google Chrome. 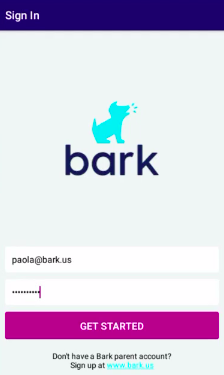 Remember, connect your child's Gmail and Google Drive to Bark that is logged in to the Chromebook. To connect your child's Google accounts like Gmail and Google Drive, check out this article. Then, select the gear icon to access the device Settings. 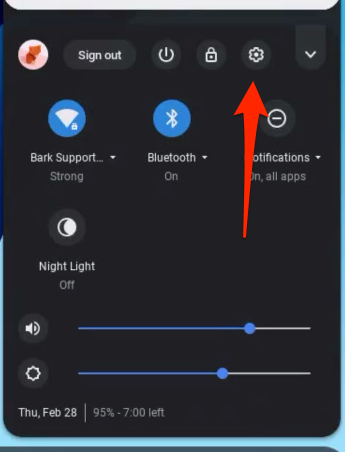 Note 1: If you don't see this option, your Chromebook doesn't work with Android apps. 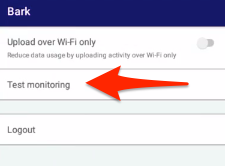 Note 2: If the "Turn On" option is greyed out, you may be using a managed school or work Google account. 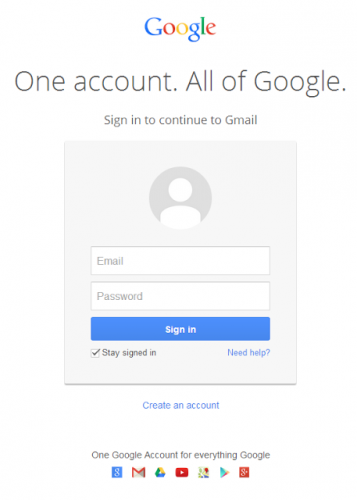 Signing in with a personal Google account will allow you to turn it on. In the window that appears, select More. You’ll be prompted to agree to the Terms of Service. When you’ve read and agreed, select I Agree. 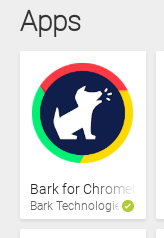 To get to the Bark for Chromebooks app on the Play Store directly, click the button below! 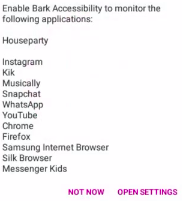 When you get to this screen, select "Open Settings"
You have now set up your child's Chromebook for monitoring of its saved photos and videos for worrisome content. 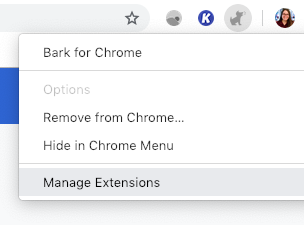 Even if the Bark for Chromebooks application is X-ed out or not on the bottom taskbar, rest assured that it is monitoring. 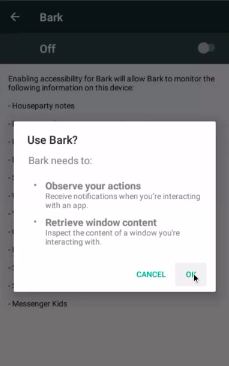 To connect Google Drive, Gmail, and more to Bark for monitoring, see here! No worries, we're here for you! Don't hesitate to reach out to us, and we'll be happy to assist.